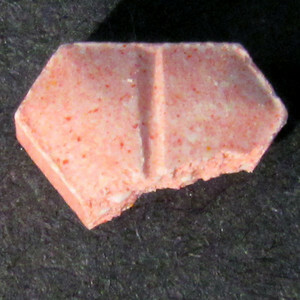 Light red/pink Superman shield style tablet with break line on back side. 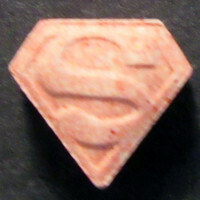 Lab received a second Superman tablet together with this one in the same package, it was NOT tested. It was the same style but a different color. If sender wants that one tested as well, please contact info@ecstasydata.org regarding ID 7247 to resolve insufficient payment issue. Thank you.